Welcome to our latest newsletter bringing you all the goings on from Cheshire's friendliest Golf Club. In the world of golf it was good to see Spaniard Sergio Garcia return to winning ways with a wire to wire victory in Dubai and even though Tiger Woods disappointingly had to pull out with injury let's just hope it's a minor blip on his comeback trail, in America Hideki Matsuyama retained the Phoenix Open Trophy and he will be one of the firm favourites when the Masters Tournament comes around in April. There was a brilliant exchange between Sergio Garcia and Henrik Stenson in the last round in Dubai when Stenson pretended to be Sergio's caddie, please click here to have a look at this humerous moment. Paddy is soon back to his winning ways. 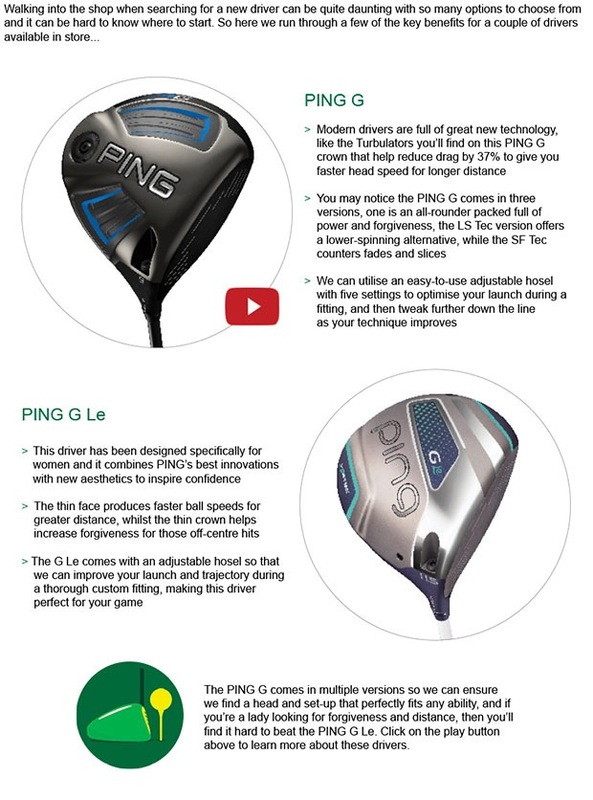 We show why the Epic driver lives up to its name. It was a slightly quieter competition than usual on Saturday as many of our members were away on a Spanish golf trip but the scores were still good from the participating players. Paddy Scanlan has had a break from golf after the birth of his son Jude but in just his second competition of the winter season he blew the field apart with a 44 point total and this was after an inauspicious start in which he didn't score on the first hole and he only had two points after three holes. But in the next fifteen holes Paddy went in to overdrive with three birdies including playing the last seven holes of his round in one under par gross. Stuart Gray has been in good form over the winter and this continued with a second place spot on Saturday after he scored 41 points including three birdies, and it was birdie by name birdie by nature for Chris Bird who also fired three birdies in his 39 point round in third place. Everyone should be back this weekend for the penultimate round of our well supported Winter League which takes place on Sunday at 11am. Last week we stumped a lot of you with a question about the new Ttileist ProV1 ball models. We asked what the name 'ProV1' short for is. There were a number of correct answers which is, Professional Veneer Model 1, the name was thought up on the spot when Titleist had to file patents on the ball before its launch and they didn't have a name. Well done to Tony Lloyd who gave the correct answer the quickest and he has already tried out his prize of a sleeve of the new balls, he hasn't lost one yet so they must be good. We now have stock of the new 2017 ProV1 balls in the shop at £42.99 per dozen or two dozen for just £82.00. 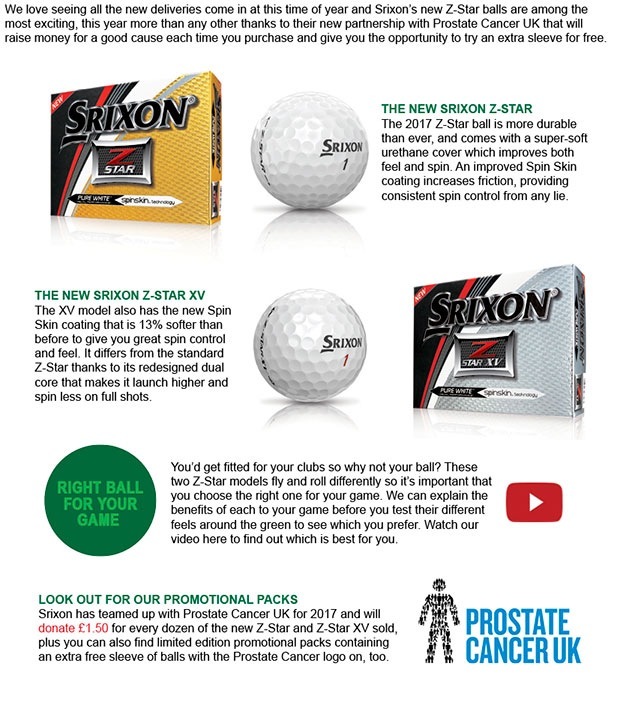 Please click here to find out more information on the Pro V1 ball. One of our PGA professionals Adrian Hill tested out the new Callaway Epic driver the other day, you will have heard a lot about Jailbreak technology which in simple terms means that the crown and sole of the club face are connected by two steel rods hidden within the head. Callaway boast that this design offers unrivalled distance and accuracy from their new driver compared to other drivers on the market. Well after just a few shots we could see that yes, the technology does work. Adrian hit his current Callaway XR 16 driver (which is not an old driver by any means) and then using the same shaft he hit the new Callaway Epic driver, ball speed was similar but launch angle increased whilst spin dropped, these two ingredients are the key to longer drives and it meant that he added 10 yards of distance in comparison to his own driver which was our best selling driver last year, so a big improvement. If a professional like Adrian can pick up an extra 10 yards over a driver he was only fitted for last year the improvements an amateur golfer could make after a fitting session could be even greater. Many golfers mistakenly believe that a custom fitting session won't benefit them and fitting only helps good players, the opposite is in fact the case as a low handicap player has the skill to pretty much make any club work whereas a less competent player will really struggle if they aren't using the right equipment to suit their game. We have one of the best fitting studios in the North West and we can virtually guarantee to improve your game, contact us here to enquire about a custom fitting session. 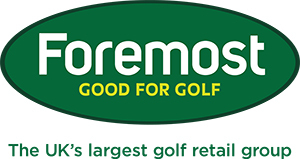 Ping Fitting Day - Wednesday, 22 February 3 slots left at 3pm, 3:30pm and 4pm. 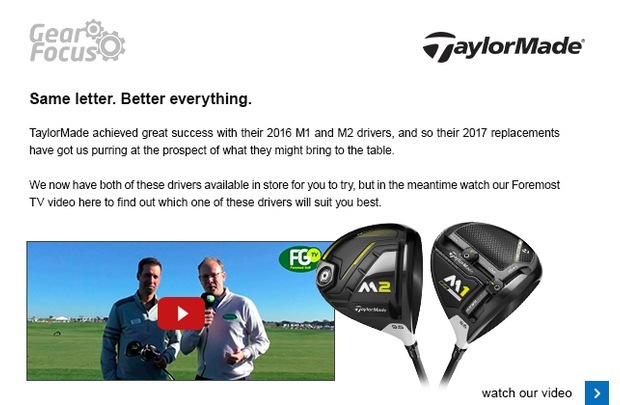 TaylorMade Fitting Day - Wednesday, 1 March 2-6pm 8 slots available. On both days you can receive an expert and FREE custom fitting session, if you've never been fitted for a club before this would be your perfect time to try it so you can see for yourself the improvements that can be made - contact us here to book your slot now. We've always said that custom fitting improves your golf and this has been shown in the form of Pete Dawson who recently purchased some custom fitted new PING clubs, since December he was won three out of the five senior's competitions he has played in. Pete's latest victory came last Tuesday in the Seniors 18 hole stableford, he scored 40 points including two birdies and he is the form Senior golfer at the moment. There was another Pete in second place as Pete Wildin scored 39 points, Pete also had two birdies including one on the first hole, in third place was Keith Morrish who played nicely to also score 39 points. This week the seniors play the fifth round of their popular Winter League series. 2017 sees PING bring their next generation of ladies hardware to market in G Le. This driver, fairway, hybrid, iron and putter family has been engineered especially for women whilst adopting key performance-boosting aspects from the men’s equivalent, G series.